Smartphones are becoming more sophisticated and powerful day by day. Since these devices can do so much and are available at a much lower cost nowadays, they seem to be everywhere in the enterprise. However, because of their capabilities, they require much better management practices than many enterprises are used to. 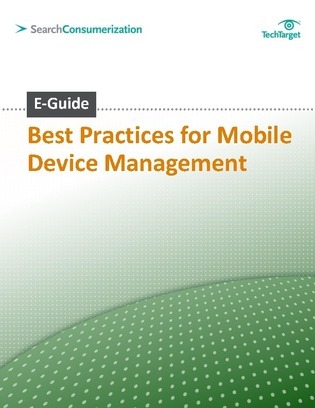 This e-guide from SearchConsumerization.com reveals numerous tips for mobile device management in the enterprise, plus a checklist to help you make your MDM strategy.